We present an efficient structure-preserving tagged one-time signature scheme with tight security reductions to the decision-linear assumption. Our scheme features short tags consisting of a single group element and gives rise to the currently most efficient structure-preserving signature scheme based on the decision-liner assumption with constant-size signatures of only 14 group elements, where the record-so-far was 17 elements. 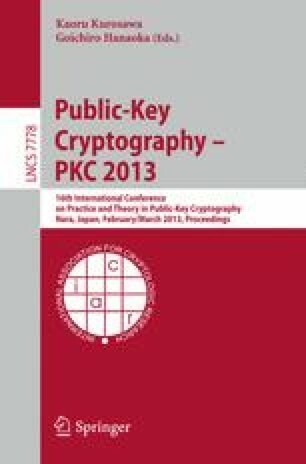 To demonstrate the advantages of our scheme, we revisit the work by Hofheinz and Jager (CRYPTO 2012) and present the currently most efficient tightly secure public-key encryption scheme. We also obtain the first structure-preserving public-key encryption scheme featuring both tight security and public verifiability.